LOS ANGELES (April 18, 2017) - The Los Angeles Unified School Board voted today to approve a proposal to construct new school-based wellness centers in high need neighborhoods. This victory is particularly significant for the Boyle Heights community where parents, youth, educators and organizations have been organizing since 2013 to expand access to physical and mental health services for youth and families to address health disparities in their community. “I welcome the Wellness Center at Mendez High School with open arms so we can continue to improve access to health services for youth. I am thrilled that LAUSD and the LAUSD School Board heard our voices and prioritized the needs of our children and families,” said Isabel Martinez, parent of a student at the Mendez High School. In 2013, the Promesa Boyle Heights Wellness Team, a diverse collaborative of residents, educators, and organizations, began the process of identifying community needs and together with InnerCity struggle launched a campaign to improve health access for youth and families in Boyle Heights. The team surveyed over 1,000 students and parents and analyzed primary data on key health indicators. They found that young males in their community were more likely to report they had not received health services within the past year, did not currently have health coverage, or did not have someone to talk to when a problem arose at school, home or work. The wellness center approved for construction today will be located at Felicitas and Gonzalo Mendez High School. This school is sandwiched between four major freeways and is near a high concentration of refineries, auto body shops and other documented toxic sites, all of which contribute to disproportionate asthma rates and other health impacts. Funds for the construction of these new school-based wellness centers come from the Wellness Now Resolution. In 2014, InnerCity Struggle led a campaign that resulted in the Wellness Now Resolution and $50 million investment by LAUSD for school-based wellness centers in high needs schools. 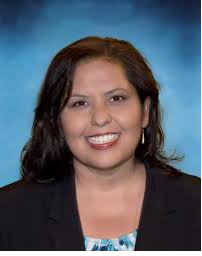 The community acknowledged and thanked Superintendent King, School Board Member Mónica García, the entire LAUSD School Board, LAUSD staff at the Health & Human Services and Facilities Divisions for working with us to address key health needs in our communities. Promesa Boyle Heights is a passionate collaborative of adult residents, youth, community organizations, schools and public/private institutions working together to realize a shared vision for school and community transformation. This vision is built on the belief that every child deserves the opportunity to succeed from cradle to career, every family deserves the opportunity to lead a healthy and fulfilling life, and that working together, individuals are empowered to transform their community. For more information visit: www.promesaboyleheights.org.